Railroad tycoons were the early industrial pioneers amassing or overseeing construction of many large railroads through the early 20th century. These men, names like James Hill, Jay and George Gould, Cornelius Vanderbilt, Edward Harriman, and Collis P. Huntington are largely responsible for building much of the country's network. 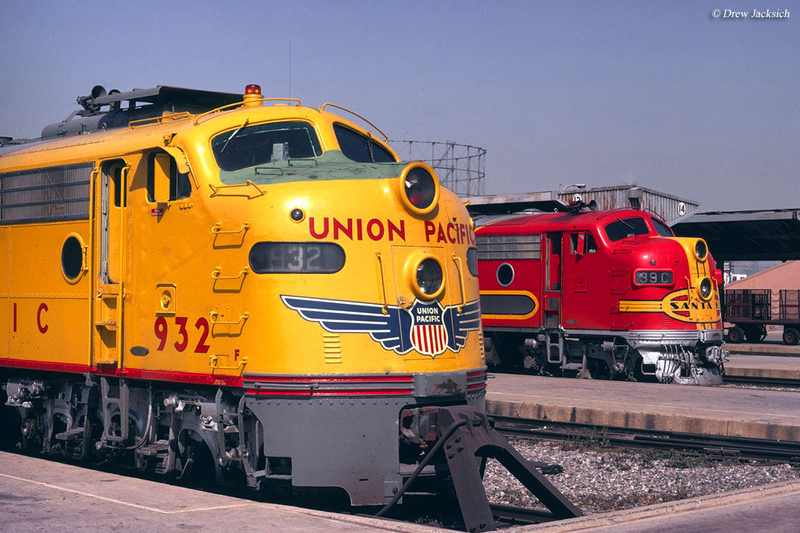 Their power and influence brought about classic systems like the New York Central, Union Pacific, Chesapeake & Ohio, Missouri Pacific, Wabash, and Great Northern. Despite their visionary leadership these barons came under intense scrutiny for their [at least perceived] ruthless nature and wanton disregard for public safety, all in the name of greater profits. This perception led to the industry's considerable regulation following passage of three notable bills; the Elkins Act of 1903, Hepburn Act of 1906, and Mann-Elkins Act of 1910. 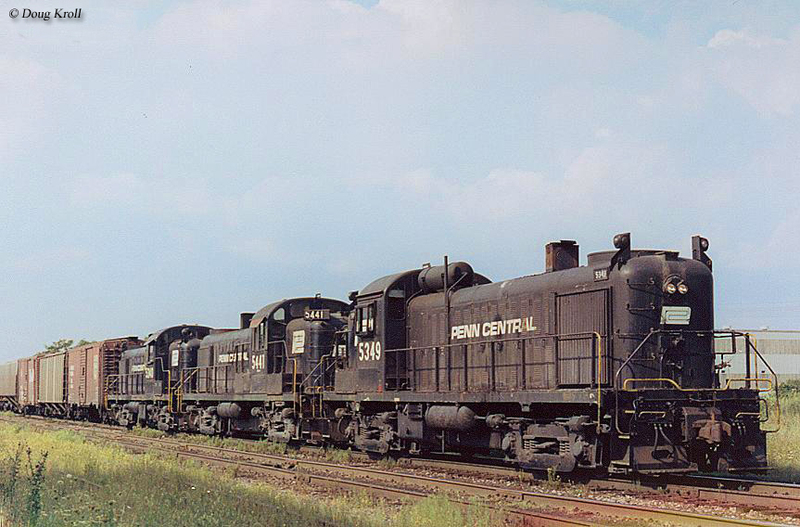 Each, in different ways, considerably expanded the Interstate Commerce Commission's (ICC) power over the railroads, which ultimately led to many failures through the 1970's. One of the first and best remembered tycoons was Cornelius Vanderbilt, better known as the "Commodore." Vanderbilt was the classic entrepreneur, he never attended college and did not even finish public school, dropping out at the age of 11. At first he worked with his father and then launched his own ferry service between Staten Island and New York City at the young age of 16. He quickly succeeded at this endeavor and pushed for even greater heights, entering the steamboat business in 1829 by launching service between New York City and Peekskill. This earned him the nickname "Commodore," where he became legendary as a no-nonsense businessman. As his success blossomed he eyed the railroad industry and in 1863 took control of the New York & Harlem. He oversaw significant growth of the NY&H and laid its future foundations as a world-class carrier. He changed the railroad’s name to the New York Central & Hudson River when he merged the original New York Central with his own Hudson River Railroad. He continued stringing together properties, including the Lake Shore & Michigan Southern, until reaching Chicago. Collis P. Huntington, Railroad Promoter And Part Of The Central Pacific's "Big Four"
Leland Stanford, Central Pacific Financier And Part Of The "Big Four"
Of course, Vanderbilt was not the only tycoon. Another noteworthy baron was Collis Huntington, part of the fabled "Big Four" that helped build the Central Pacific. The CP was the western leg of the Transcontinental Railroad, formed on July 1, 1862 when the Pacific Railroad Act was signed into law by President Abraham Lincoln. This legislation had created Union Pacific to begin construction westward from Omaha/Council Bluffs and the CP would strike out eastward from Sacramento. Interestingly, Central Pacific was already a corporate entity, organized by Huntington, Mark Hopkins, Leland Stanford, and Charles Crocker (the so-called "Big Four") on June 28, 1861. It was directed to "construct a railroad and telegraph line from the Pacific coast, at or near San Francisco, or the navigable waters of the Sacramento River, to the eastern boundary of California." 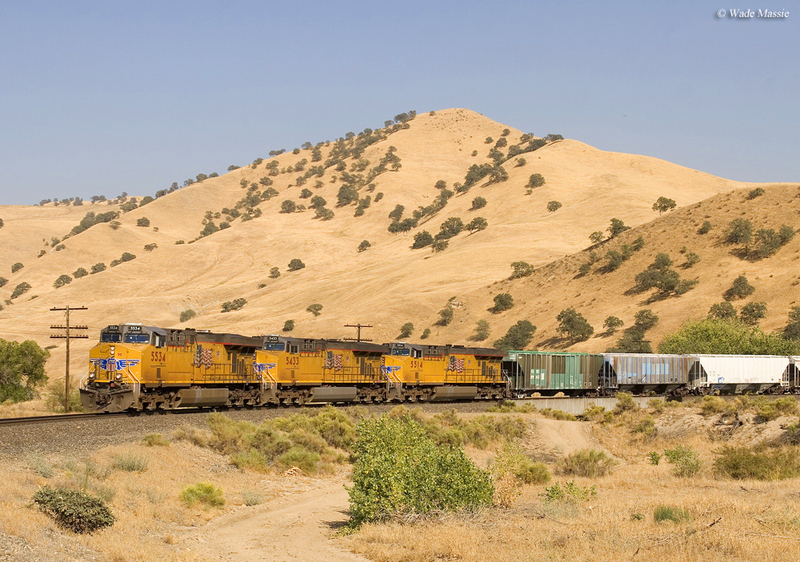 With the passage of the Pacific Railroad Act the CP's task was broadened after it adopted the agreement on October 7th and formally accepted it through the Department of the Interior on December 24th. The railroad's groundbreaking took place on January 8, 1863 at K Street in Sacramento along the Sacramento River waterfront. It faced a difficult proposition in trying to hack out a right-of-way through the impenetrable Sierra Nevada mountain range, made all the more arduous by the lack of mechanized equipment; surveyors had to literally scale cliffs in finding a suitable grade while laborers used picks, shovels, and dynamite to form a roadbed. In May of 1868 the line over Donner Pass was completed according to Brian Solomon's book, "Southern Pacific Railroad" (Andover Junction Publications, 2007). Focus this turned to completing the line across the relatively flat deserts of northern Nevada and Utah. During a formal ceremony held with Union Pacific at Promontory Summit, Utah on May 10, 1869 the Transcontinental Railroad was deemed complete. Following this event, it was not long before Huntington and his associates were eyeing other endeavors. During December of 1865 the Southern Pacific Railroad was incorporated to build from San Francisco to San Diego via Los Angeles. Hoping to eliminate the competition the "Big Four" had acquired the fledgling SP by 1870. In time the Central Pacific was slowly integrated into the Southern Pacific as the latter system expanded eastward, northward, and southward (SP formally leased the CP on April 1, 1885 while it remained a corporate entity until June 30, 1959). Southern Pacific eventually went on to become one of our country's great railroads, operating an astounding 15,000+ mile network (including subsidiary St. Louis Southwestern Railway, "The Cotton Belt") reaching Texas, Louisiana, St. Luis, Salt Lake City, and Portland. 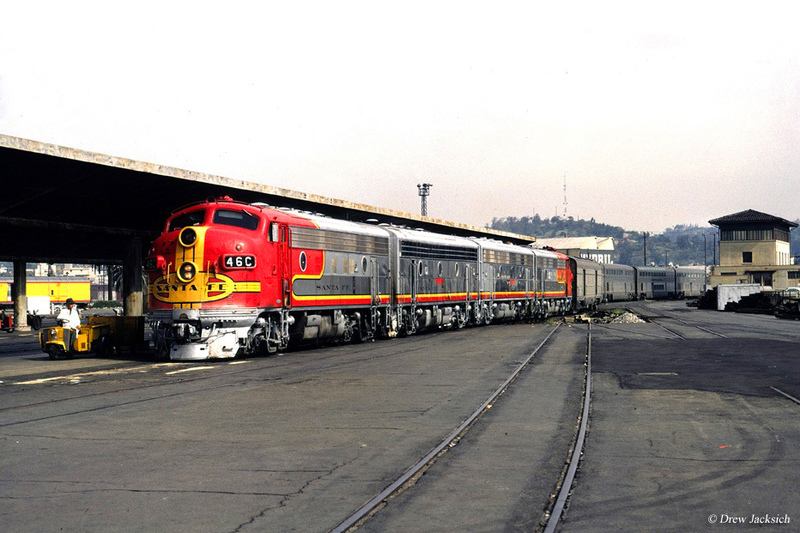 It operated three principal routes (the "Sunset Route," "Overland Route," and "Golden State Route"), moved every type of freight imaginable, and maintained high-class passenger trains like the Golden State, Sunset Limited, and Coast Daylight. While the SP is regarded as Huntington's greatest achievement he also helped rejuvenate the Chesapeake & Ohio project, transforming it into one of the east's most successful coal haulers that stretched from Chicago to Newport News, Virginia. Another of the greats was James J. Hill, the so-called "Empire Builder." He became a legend within the company he created, the Great Northern Railway, establishing it as one of the West's premier systems. Like Vanderbilt, he got his start in the steamboat business and then found an opening in the railroad industry when the St. Paul & Pacific failed in 1873. 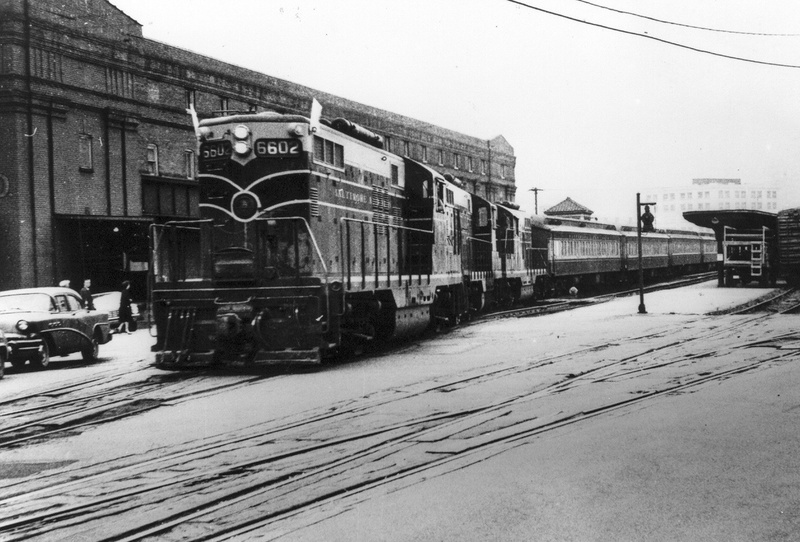 The StP&P linked St. Paul with the Canadian border at St. Vincent, Minnesota according to Mike Schafer's book, "Classic American Railroads." Hill's ambitions included opening a new line to the west, similar to the Northern Pacific project then underway. In 1879 he formed the St. Paul, Minneapolis & Manitoba to do just that, reaching Great Falls, Montana by 1887. Finally, in 1889 he incorporated the Great Northern Railway to acquire all of his holdings and by 1893 the GN had reached Seattle. Hill was an early proponent of the mega-merger movement, generations before it became reality. At the turn of the 20th century he attempted to merge the GN and Northern Pacific with the Chicago, Burlington & Quincy and Seattle, Portland & Spokane in creating a gigantic transcontinental which stretched across the West. His dream was denied by the Interstate Commerce Commission but was ultimately approved decades later in 1970, forming the Burlington Northern (today it is part of the BNSF Railway). One of the most interesting tycoons was George Gould. He was the eldest child of the famed Jay Gould and entered the business at 24, inheriting all of his father's railroad assets. Never as ambitious or merciless as his Dad, the younger Gould still found successful, overseeing several profitable railroads during his life. His most noteworthy project was attempting to finish his father's legacy in completing a true coast-to-coast railroad. Using the Missouri Pacific (MoPac), which had fell under Jay's oversight, he partnered with Arthur Keddie in opening the Western Pacific (WP) from Sacramento/San Francisco to Salt Lake City. Gould also became involved with the modern Denver & Rio Grande Western, which provided the bridge connection between the MoPac (Pueblo) and WP (Salt Lake City). From there he turned his attention to the Midwest, reviving his father's former stakes in the Wabash Railroad. Finally, in the Mid-Atlantic region he tried to push the Wabash into Pittsburgh via the Wabash-Pittsburgh Terminal. 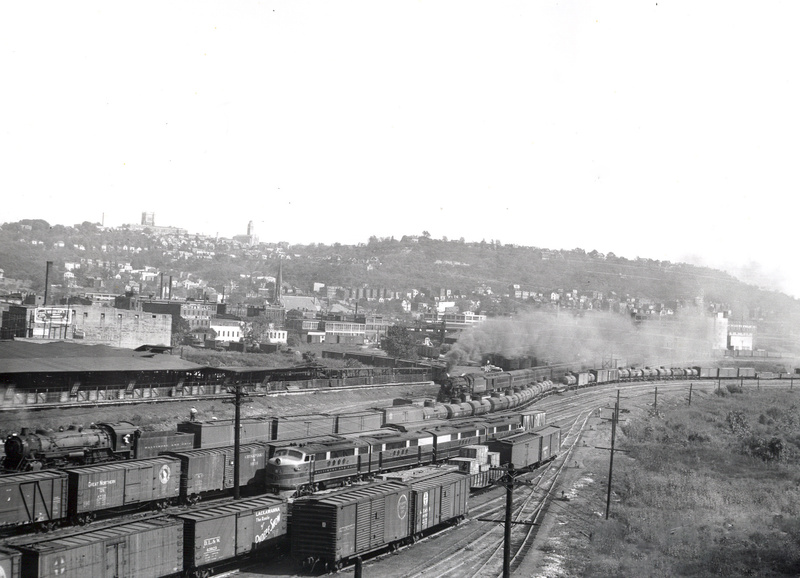 As Mr. Schafer notes in his book, "More Classic American Railroads," his attempts to reach the Steel City came under fierce opposition against the mighty Pennsylvania Railroad. At the same time he was trying to link the Western Maryland with a point near Pittsburgh. The WM was the final link in his empire, connecting the port of Baltimore. Alas, Gould overstretched his resources and following the financial Panic of 1907 his hopes died. In 1918 he was forced to sell his assets and passed away in 1923 at the age of 59. While he held millions in debt the tycoon was still worth a little more than $5 million at the time of his death. Despite being celebrated for the accomplishments they achieved the general public at the time, and even to some extent today, looked at these businessmen as lacking empathy for the general public, caring for little else than greater profits. The media also had a field day with this notion as numerous newspapers and cartoons were published throughout the 19th century depicting the villainous nature of railroads and their presidents. To some extent this was true. Because there was no federal agency in place to oversee or regulate the industry until the late 19th century, railroads largely went on-checked in their endeavors. In addition, with no laws in affect to oversee safer operations many passengers and employees were killed following derailments or collisions. In any event, is it true that tycoons were truly wretched folks who cared nothing about the general public's welfare? Probably not entirely, at least not intentionally for most (in the case of James Hill he actually encouraged folks to settle near his railroads and even paid to move them there). It is simply that because there was no regulations in place railroad executives took advantage of the situation, earning as much money as they could in the process. For more information about many of these barons please visit the links above, which also highlights a number of the famed presidents like the Baltimore & Ohio's Daniel Willard of the 20th century. The creation of the Interstate Commerce Commission (ICC), a result of the Interstate Commerce Act of 1887, and Safety Appliance Act of 1893 helped to finally bring regulation and oversight to the industry. However, it can likewise be argued the pendulum swung too far in the other direction as railroads were so heavily regulated during the 20th century that many went bankrupt in the 1970's. Without the railroads, and the well-known individuals which created them, it is safe to say our country would not be the world leader it is today without their contributions. Yes, we may not have the most advanced high speed passenger rail system in the world but we do have the most efficient and advanced freight system, which is marveled and emulated by other countries.